During this season, I am always moved by Luke’s account of Simeon’s prophetic embrace of the Christ child when Joseph and Mary brought him to the temple in Jerusalem to present him to the Lord. That day for Simeon was the fulfillment of a life-long, prayerful expectation of the first Advent. Of Simeon, Luke writes, “this man was righteous and devout, waiting for the consolation of Israel, and the Holy Spirit was upon him. And it had been revealed to him by the Holy Spirit that he would not see death before he had seen the Lord’s Christ” (2:25-26). Seeing the baby, this aged saint took the Divine Child from Joseph and Mary and holding him in his arms, blessed God saying “Lord, now you are letting your servant depart in peace,according to your word; for my eyes have seen your salvation that you have prepared in the presence of all peoples, a light for revelation to the Gentiles, and for glory to your people Israel” (2:29-32). We are all the covenant family of that dear saint and, as family and friends, a question we could be asking during this Advent season is, “Who or what are expecting this Advent season?” I am hopeful that we would all be expectant for a deeper and more intimate fellowship with our Lord and for his healing and saving work in Columbia, or whatever city we reside in, through hearts transformed by grace and through our common life as the Church. May God graciously lead us to take unique and individual steps that would help us cultivate and nurture that relationship both to God and to one another. Have we considered meeting with someone to pray on a regular basis, with confession and thanksgiving? Have we considered how we may best connect with Love, Inc., Granny’s House, participate in Christ Our King’s Advent food drive, or partner with local ministries that help those in need in whatever town we may reside? Have we considered some fixed times of fasting and intercessory prayer for the many heartbreaking situations, racial, cultural, and sexual that surround us? Have we considered exploring the possibility of personal spiritual direction or participating in a spiritual retreat? Advent is a time for searching our hearts and, with Spirit-filled expectancy, making choices about how to best love and serve God and our neighbor. 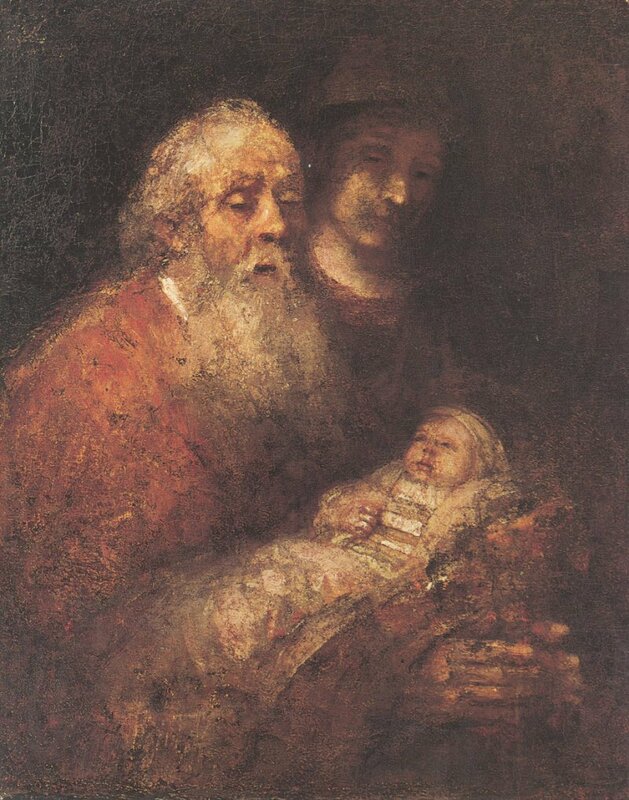 Simeon lived expectantly for the “consolation of Israel.” May we join heart and hands with that righteous and devout man during this Advent season, with that same spirit of expectancy about Christ coming to us. Expectancy, most certainly about that ultimate Advent, the second coming of Christ, but equally so, expectancy about our lives and city being transformed by the love of the Father, the grace of our Lord Jesus Christ, and the communion of the Holy Spirit. If you want to learn more about spiritual direction, contact Pastor Bill via Twitter below, or visit the Christ Our King website and drop us a note.